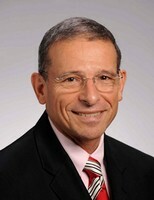 Erik: Joining me as this week’s featured interview guest is petroleum geologist Art Berman. Now, for newer listeners who may not be familiar with Art’s work, I encourage you to listen to Art’s prior interviews. You can just go and type Art Berman into the search box at macrovoices.com and you’ll find seven or eight prior appearances. We are going to be making reference to “comparative inventory” which simply described the government inventory numbers that tell you whether the amount of oil in storage went up or down each week. That’s not seasonally adjusted, which is what’s really important in order to understand the relevance of that data. So Art uses a comparative inventory model which compares the amount of supply added or subtracted from storage to what the five-year moving average is for this week of the year in previous years. If you want a full description of how comparative inventory works, it is described in one of Art’s prior interviews. Art has sent us another fantastic slide deck. He’s known for his graphs and charts. So be sure to download the chart deck and you’ll find the link in your Research Roundup email. If you’re not yet registered, just go to macrovoices.com and look for the Download link next to Art’s picture on our home page. Art, why don’t we go ahead and dive into your slide deck, since everybody loves your charts and graphs. What’s going on here, needless to say, since October we had a really big move down in oil prices. And we’ve retraced, I don’t know, about half of that so far, back up in the mid-$50s. Just today, as we’re speaking on Wednesday afternoon, it was another big inventory day and prices are up to, I think, a cycle high 58 spot 35 as we’re speaking. What’s going on here? 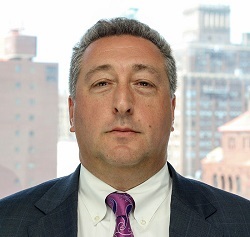 Erik: Joining me now as this week’s feature interview guest is Barry Ritholtz who is Chairman and CIO of Ritholtz Wealth Management and host of Bloomberg’s podcast “Masters in Business”. Barry, thanks so much for joining us this week. We really appreciate having you on the show. Barry: Oh, my pleasure. Thanks for having me. Erik: It’s great to have you on. I want to start with the big question on everybody’s mind, which is: I’ve had a whole lot of smart people tell me, look, this bull market is over, the top is in, the bear market has begun, and what we’re seeing since Christmas is nothing more than a bear market rally. Well, if it’s a bear market rally, it’s an awfully exuberant one. So how do you see this? Do you think that this equity market still has higher to go? Has the bear market really begun? And what do you see on the horizon? 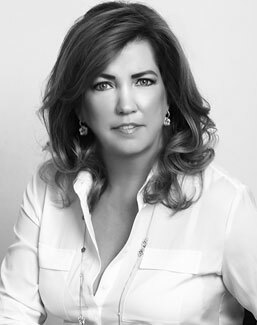 Erik: Returning as this week’s feature interview guest is Dr. Pippa Malmgren, one of our all-time favorite guests on this program. Pippa, thanks so much for being with us this week. You know, I’ve got to ask you as a geopolitical expert, what do you think is going on at this point? And how should investors understand this whole Trump–Xi situation? Because, as I understand it, the way it comes across to me, everything was rosy until October. All fourth quarter of last year we saw 20% – more than 20% – down on the S&P, mostly driven by fear of trade war. Now maybe we’re on the way. And we’re seeing this huge bounce and it’s all recovering. So it seems like this massive market swing has been driven largely by this. And now, I think, the message from President Trump is it’s absolutely hardline. We’re not going to negotiate. But, oh, by the way, the weather is nice at Mar-a-Lago at this time of year, so maybe we should do beers. I’m having trouble interpreting what’s going on here. Where do you think this is headed? And what does it mean? Luke Groman: The “Dollar End Game” has already begun! 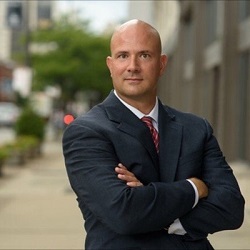 Erik: Joining me next on the program is Forest for the Trees founder and Chief Investment Officer Luke Gromen. Luke prepared a slide deck for today’s conversation. I strongly encourage everyone to download it. You’ll find the download link in your Research Roundup email or if you’re not yet registered just look for the red button labeled Looking for the Downloads next to Luke’s picture on our home page at macrovoices.com. Luke, it’s been too long. Thanks for coming back on the program. You’ve had some very, very outspoken views. And when you first started writing about this stuff years ago, everybody thought you were completely crazy. Now what I’m hearing from a lot of people is maybe they think you’re early, but they don’t think you’re crazy anymore. For people who aren’t familiar with your views, why don’t we just go ahead and dive into your slide deck? Tell us why you see the whole situation around the US dollar, US Treasury market, and so forth a little differently than the mainstream that you hear about on CNBC and Bloomberg. 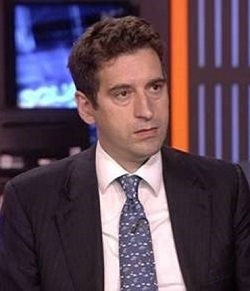 Erik: Joining me next on the program is Francesco Filia from Fasanara Capital. Francesco, thank you so much for coming back on the program. Before we get into your slide deck, which listeners can find the download link for in the Research Roundup email, or on the home page you can look next to Francesco’s picture. If you’re not yet registered, look for the button that says Looking for the Downloads. We do have a great slide deck coming up. But before we even get into that, I want to just remind our listeners that the first time that we interviewed Francesco on this program, his prediction was a blowup in the VIX complex. Now, we tend to give a lot of credit to Chris Cole for making that call. Really, Chris is the guy who made that call the week before it happened, on this program, and it just felt so timely. But if you go back and listen to Francesco’s interview from several months earlier, he really predicted the same thing. So, Francesco, congratulations, you got the call right on the volatility complex blowing up as it did back in February of 2018. Now, as I begin to look at your slide deck, as I get into Slide 3 here, you’re really looking for what sounds like not just maybe things are going to weaken, but you’re really looking for significant downside. A crash or a serious bear market. First of all, am I correct to characterize that that is what you’re saying here? And, if so, why do you see that coming?